I’m a big fan of games that force me to make decisions. With that in mind, I consider myself fortunate that these kinds of games are becoming more and more common, from episodic games such as the cult classic Life is Strange series to more mainstream AAA titles such as The Witcher 3: Wild Hunt. It goes without saying then, that I have eagerly been awaiting the release of Quantic Dream‘s Detroit: Become Human on the PS4 for quite some time now. Anyone who has played Quantic Dream’s two previous titles, Heavy Rain and Beyond: Two Souls, knows what to expect in terms of gameplay, so I won’t bore you by writing about it at great length (for those of you who haven’t played them, gameplay effectively boils down to the standard conversation options when dealing with NCPS and interacting with the environment through a series of quick-time-events). The things that really matter in a game like Become Human, which often feels more like an interactive movie, are the plot, the characters, and whether your decisions actually have any impact, so I’ll focus on that instead. Please note: I have tried to keep spoilers to a minimum, i.e. nothing you won’t already be aware of from trailers and demos. Detroit: Become Human takes place in 2038, in a future version of Detroit, Michigan. The 20 years between now and then have seen the city return to its glory days of manufacturing by becoming the central mass producer of androids in the US. These synthetic beings (which are practically indistinguishable from humans, apart from a small LED ring on their right temple) are created by the company ‘CyberLife’ (very Doctor Who) and provide a variety of services to both the public sector and private consumer alike – from housekeeping to infantry to teaching. Whilst all this sounds like an ideal world in which to exist, experienced players will know that Quantic Dream is not in the habit of selling perfect utopias. Despite androids having become a staple of public life in the US and providing cheap, affordable services to the average person, they are also responsible for mass unemployment amongst America’s working class. It’s clear from early on that tensions are running high in this apparent idyllic world. Add to this tension the fact that some androids are starting to behave as if they are alive and things rapidly begin to descend into chaos. Feature image is a screen shot by the author taken during game play of Detroit: Become Human developed by Quantum Dream, and published by Sony Interactive Entertainment. Connor, an RK800 android, is a ‘one of a kind’ prototype that was designed to assist human police officers in high stress situations. His first mission involves negotiating the rescue of a little girl held hostage by a deviant (rogue android). 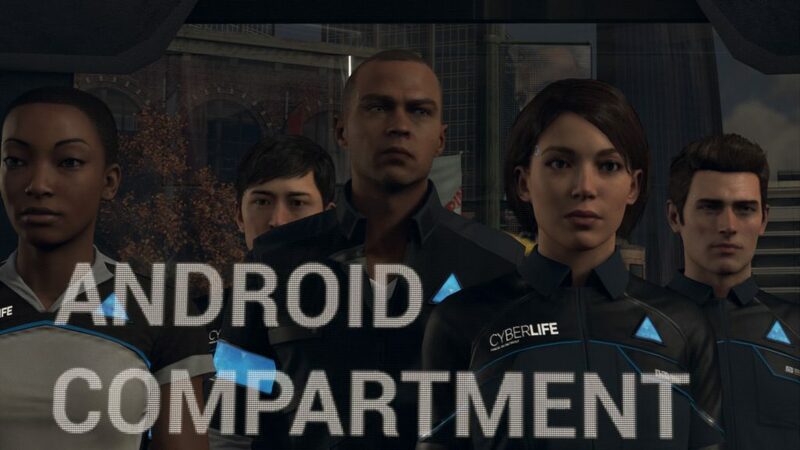 He is ultimately sent by CyberLife to investigate the increasingly frequent cases of deviants and is paired with Android hating, hardened detective Lt. Hank Anderson. Kara, an AX400 android, is a common model created to act as a maid and provide basic functions such as cooking, cleaning and child minding. Having been resold various times, she is eventually bought by former taxi-driver Todd Williams. Upon witnessing a case of domestic abuse, Kara turns deviant and flees the household with a small child. 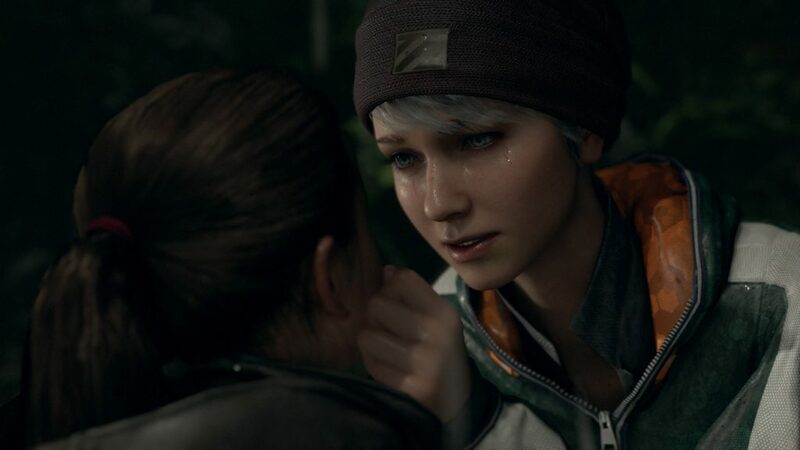 In general, the characters feel well rounded and their motivations are believable, relatable, and, depending on how you play, there is an enormous potential for character development and relationship building which are actually affected by your choices (as opposed to Beyond: Two Souls where you were often given the illusion of choice whilst playing through an ultimately linear game). 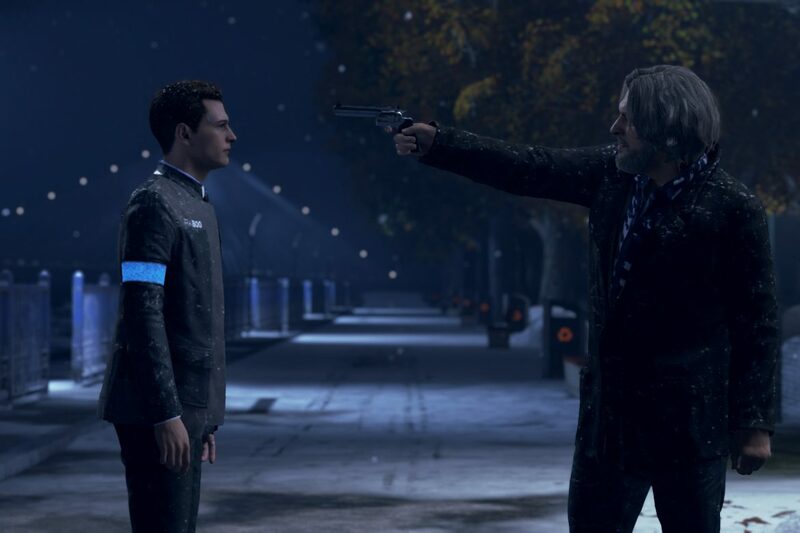 The most important question for a game like Detroit: Become Human: Do your decisions matter? Don’t they just! 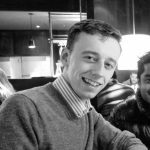 Every decision you make has some kind of impact on the world around you, from big decisions made early on that don’t have clear implications until the third act of the game to the tiniest little thing you decided to do just to pass the time. Opening a window to ventilate a room whilst you’re cleaning will provide you with an escape route from an attacker later on, idly skimming through a magazine in the kitchen can be the difference between being blowing your cover with a police officer or surviving one more day on the run. Everything you do has consequences, and not always for the character making that decision. How you play as Markus can directly affect the chances of Kara’s survival or how Connor views the world, for example. Everything is linked. Quantic Dream has, in many ways, created a perfect series of examples of the butterfly effect in action. And it’s beautiful. Detroit: Become Human is a phenomenal piece of cinematic storytelling, a huge step forward for the genre and an experience that you’ll most likely enjoy. It isn’t without the usual faults we see from Quantic Dream though: the awkward camera angles, the sometimes obvious plot holes, etc. My biggest gripe, were I to make one, would be the ending. I say that somewhat reluctantly as, depending on how you play, there are roughly 45 alternate endings to this game! But, from the 2 playthroughs I’ve completed, they were both somewhat disappointing. Don’t get me wrong, Become Human certainly builds to, and delivers, a climactic finale, but then it just finishes. There’s very little in the way of the short cut-scenes we got from Heavy Rain and Beyond: Two Souls to show us what happened to the characters moving forward. It’s a little ‘Lost in Translation’-like in that sense. It leaves you wanting to stay in this world, to stick with these characters for a little bit longer. And maybe that’s a good thing.